Mobile usage is approaching two-thirds of traffic in some large financial institutions, says Kieran Hines, senior analyst at Ovum. top investment priority for retail banks, according to new research from Ovum. Mobile’s rise has shifted it from a new and uncertain channel to become something that has a direct impact on financial services institutions. Research from Ovum reveals this is true across the globe, with the majority of respondents expressing increased interest in mobile banking. Most also expect the channel to become a competitive necessity within the next three years. “Mobile banking has become an incredibly important channel for banks worldwide. In some large financial institutions, mobile usage is approaching two-thirds of traffic,” says Kieran Hines, senior analyst, financial services technology, Ovum. The increasing consumerisation of technology provides a challenge to financial institutions. The constant innovation of mobile devices alters user expectations, leading to demand for high quality design, functionality and technological capabilities of applications. Banks must continue investing in mobile banking to remain competitive. Fiserv Mobiliti is considered by Ovum to be the market leader in the space. The vendor has a large and loyal customer base, driven and developed through its client relationship model. Through focusing on modularisation and extensibility, which allows easier customisation, Fiserv is taking its product to the next level, says Ovum. SAP’s mobile banking system is another leader in this market. Its offering is being constantly developed, alongside the vendor’s overall mobility strategy. With a clear development path and a functional roadmap, SAP’s experience in banking software shines through in its offering, says Ovum. Oracle has recently invested a significant amount of resources in Flexcube Mobile Banking. With the company’s existing relationships, installations and banking experience, it is well positioned for upgrades. 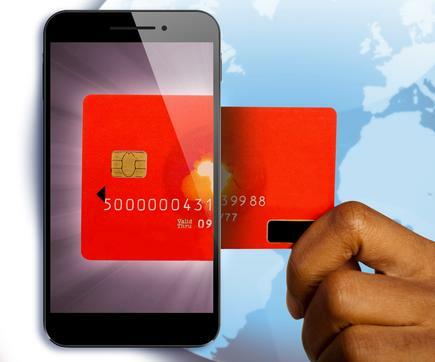 Ovum says Flexcube Mobile Banking also has several features that align with current mobile trends and it is easily configured, managed and developed. Hines points out getting value from a mobile banking system is critically dependent on its ability to execute a bank’s strategy. A decision to purchase a specific offering or product should be based on a broad range of factors. With the huge array of devices available to access mobile banking, flexibility is paramount. Functionality should be tailored to each device, as user experience is vital in ensuring customer satisfaction and retention remains high, Hines states.